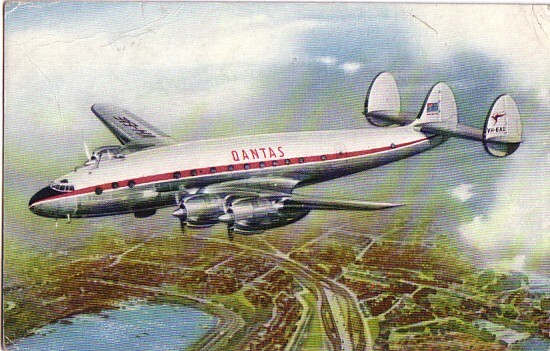 From the early years of collecting postcards, Qantas Airways has featured strongly and has issued a wide range of cards. In view of the topicality of things Australian I thought it would be nice to devote this article to some of the most notable in my collection. From early days, I acquired two cards printed with a gold background to mark their 50th Anniversary 1920-1970. 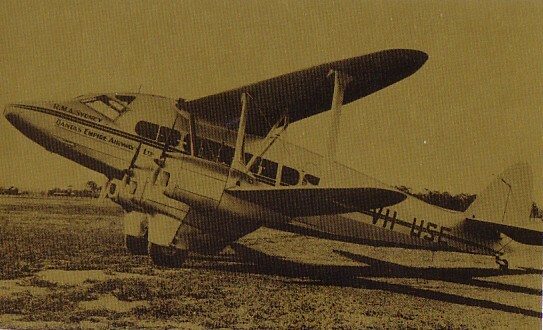 Shown is an Armstrong Whitworth FK8 with the old British Dominion series registration G-AUDE togther with the later DH.86. I have a number of Constellations and the nicest, I think, is this drawing, marked on the reverse Qantas Empire Airways operating on the London-Sydney Kangaroo service with a cruising speed of 260mph. And by the time of the Boeing 707 in the early 60s “quiet vibration free travel at speeds of over 550 mph. When the 747 Jumbo jet was introduced Qantas was one of its first customers and again issued a number of cards which were given away on board and hence can still be easily found, although like one earlier 707 (VH-EBU air flying right) card which had no less than three background variations, the “standard” air to air shot of VH-EBA had variations in both flight attitude and cloudscape. 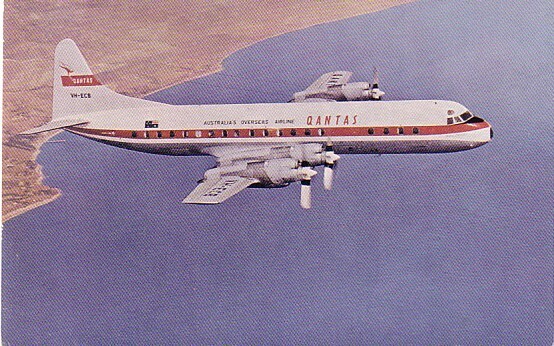 The Kangaroo tail colours have remained with Qantas to the present day through the later -300 and – 400 747 series. 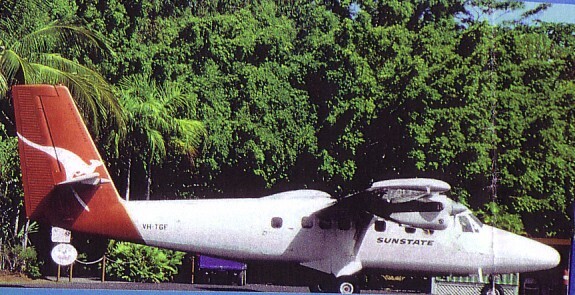 The fuselage is now in fashionable all white. 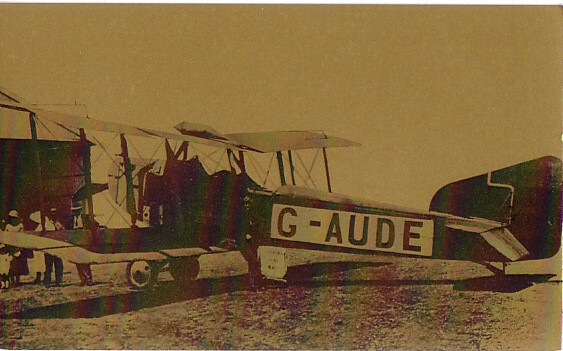 In addition to company cards, many publishers including Australian Australex have produced cards of the fleet. 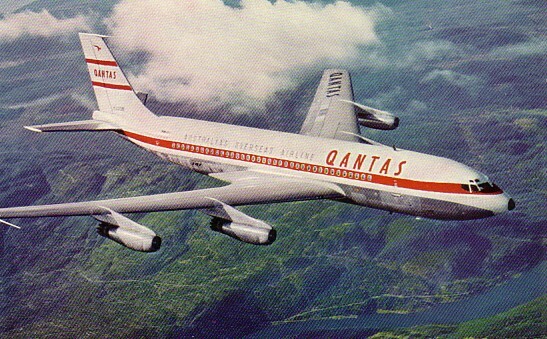 The other trend, of which Qantas was an early adaptor, was the special colour scheme. Qantas painted two 747s, a 747-400 and a 747-300 in aboriginal art inspired schemes, the red “Wunala Dreaming” and the Blue “Nalanji Dreaming”. 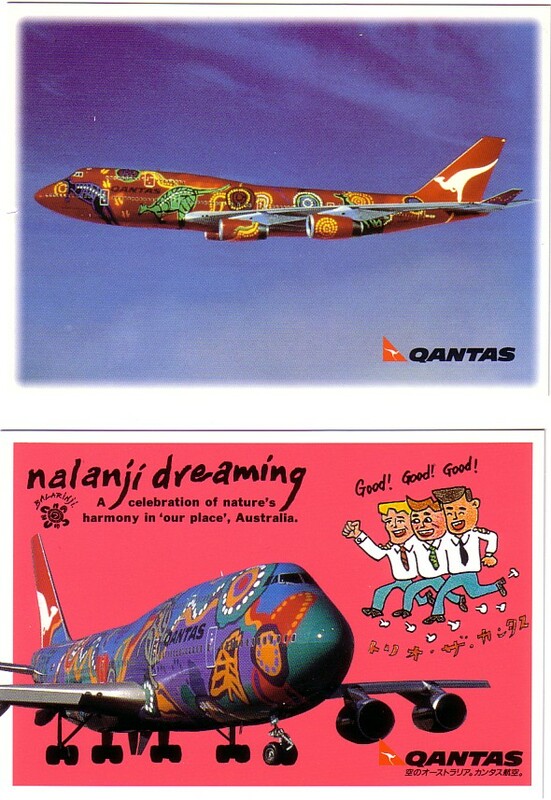 Both have featured on large size cards with “Wunala also on this card from the Frankfurt office for its first arrival on 6 Sept 1994.“Nalanji” featured on a strange set of 5 cartoon cards aimed at the Japanese market. Regretfully I have not been able to acquire many Australian airport cards with or without Qantas in view. 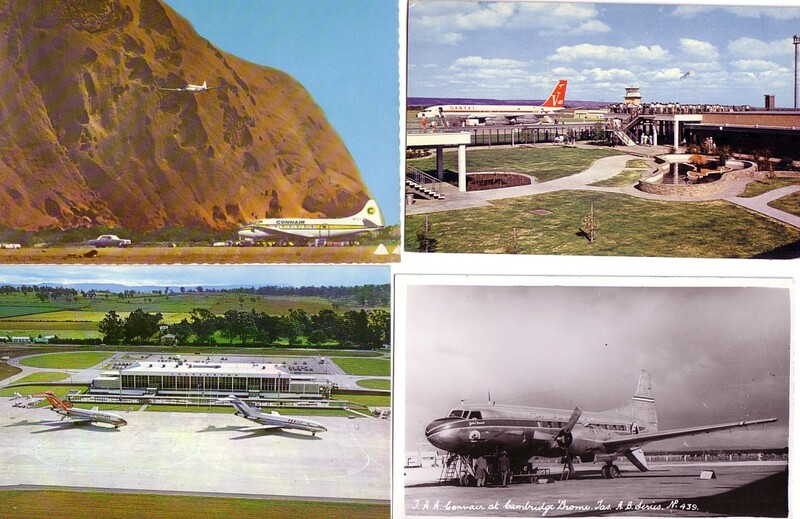 While I have a number featuring Melbourne and Sydney International airports and some from Coolangatta, Mt isa, Brisbane , Cairns and Adelaide I wonder what others have issued postcards to add to my collection. Please let me know.